At Songtrust, our mission is connecting songwriters, bands, producers and all the people that work with them to the publishing royalties they are earning around the world. We believe fiercely in reducing the barriers that inhibit this access, and in building tools that make the management of these rights as user-friendly and easy-to-use as possible. About a year ago, as our client base was growing and we began to work with more and more representatives of songwriters (managers, lawyers, business managers, and labels), a limitation of our existing tools became more apparent - the accessibility in one account for multiple users. Our online dashboard was fairly simple to use and made sense for an individual, but once there was a business or organization managing the repertoire, we realized how important flexibility and access was for clients managing multiple songwriters. We wanted to add multi-user access at different levels of visibility to better reflect the way creators and their teams really work. 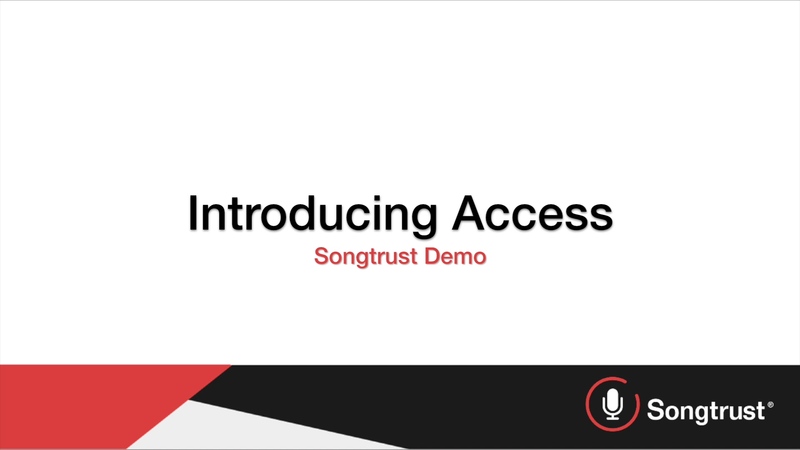 Access is a feature on Songtrust’s online dashboard that allows one account to be shared or “accessed” across multiple user accounts. It means that you can invite a person via email to join Songtrust and specify which songwriters they can view or have full access to their account. If the invited person is already a Songtrust client their existing account will be granted access to that writer’s account. Individual band members can receive separate payments for their shares directly, as well as register works they may write outside of the band, but also have a collective band account to manage band works in one place. What kind of access do I get? Songtrust is committed to constantly improving our product, tools, and service to empower our clients to manage their careers with as much independence and control as possible. Access is the first of many features we hope to introduce that better meets the needs of the modern music publishing landscape. Learn more about the Songtrust dashboard at songtr.st/Platform.